Offices and cubicles can get really dry because of air-conditioning and closed windows. Dry air isn’t good for your skin or comfort, and thus – you need a humidifier. 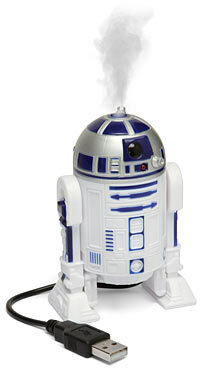 Of course, there’s also the need to humidify with style, and nothing says “STYLE” more than a USB R2-D2 ! Get your own Mini R2-D2 Humidifier ! Best Use of USB ever!